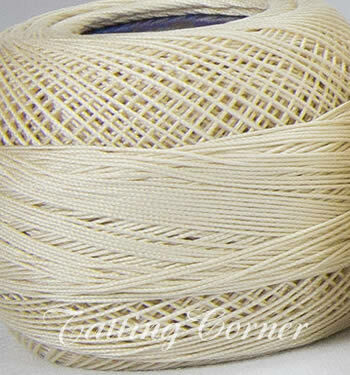 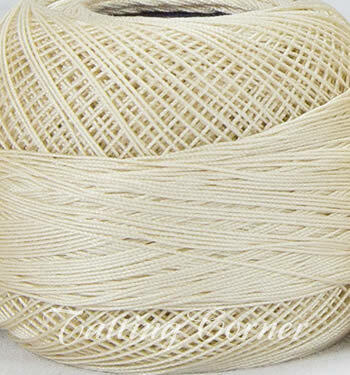 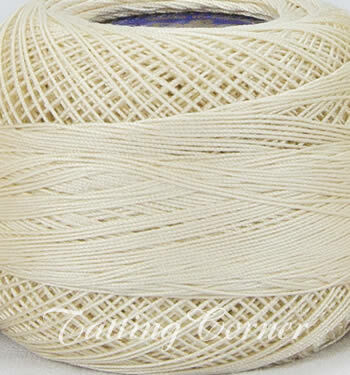 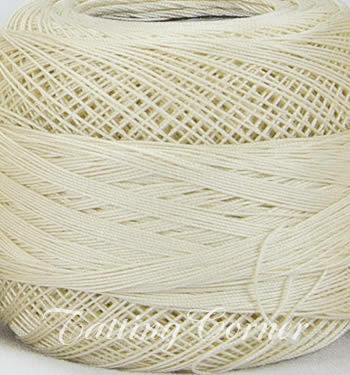 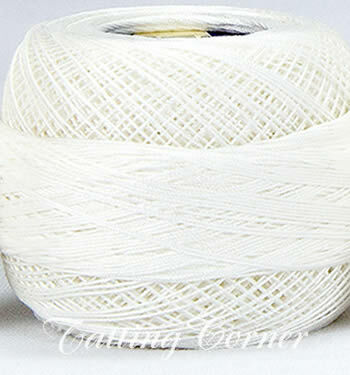 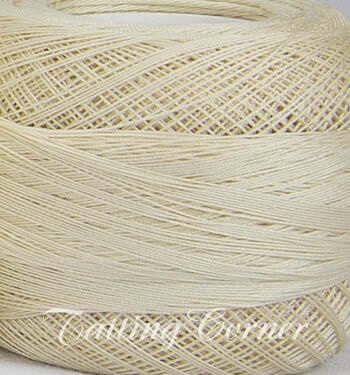 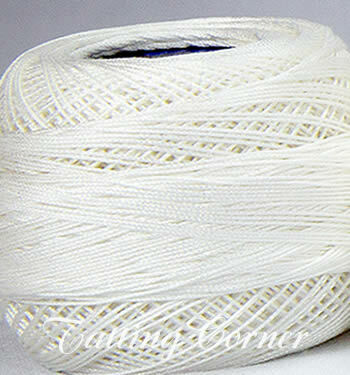 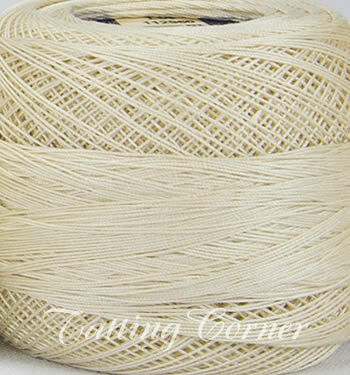 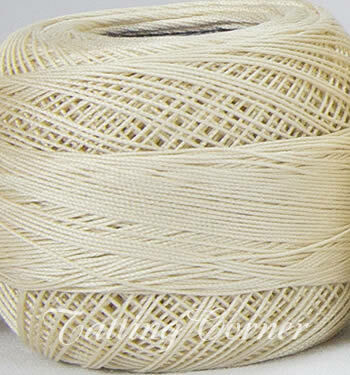 DMC Cordonnet Special is a six cord double-mercerized 100% stapled cotton crochet thread. 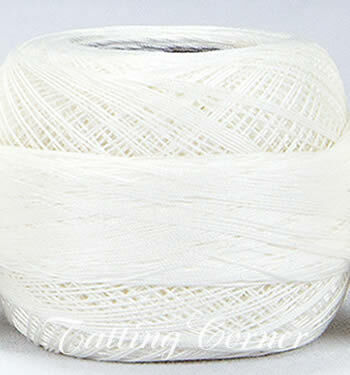 It is colorfast and strong with a glossy finish. 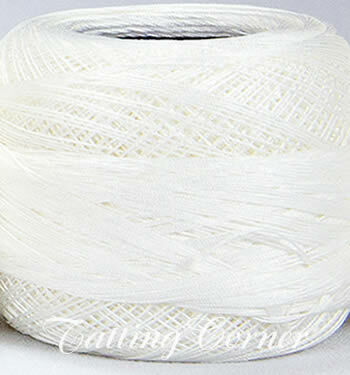 Available in white or ecru. 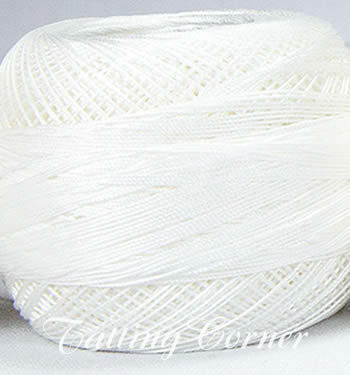 DMC recommends using the following steel hook sizes for Cordonnet thread: Thread size 20 - Hook size 9; thread size 30 - Hook size 11; thread size 50 or 60 - Hook size 12; thread size 70 - Hook size 12 or 13; thread size 80 or 100 - Hook size 14. 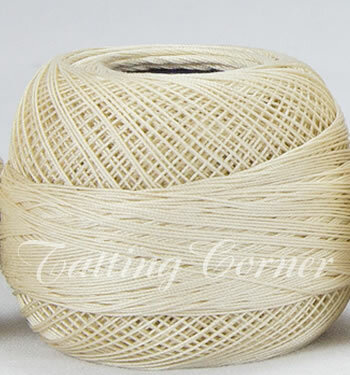 Below is a side-by-side comparison of the range of DMC Cordonnet thread sizes.